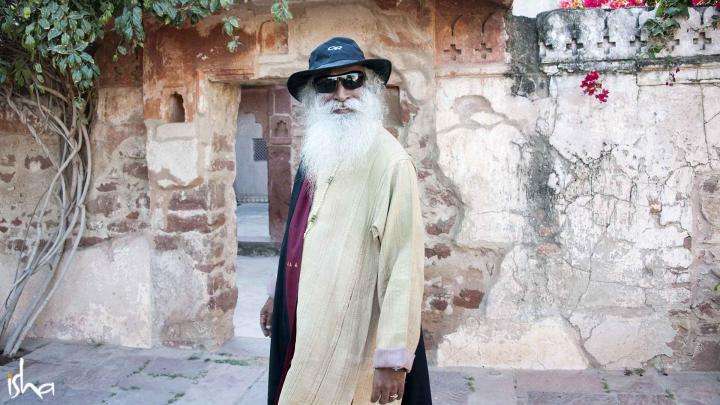 In this week's Spot, Sadhguru writes from the midst of Samyama, noting how the Adiyogi Alayam transformed itself in a matter of days for the program. "From the splendor of Mahabharat to the starkness of Samyama. Both eight-day programs in the Adiyogi Alayam, but of totally different natures." Enjoy! From the splendor of Mahabharat to the starkness of Samyama. Both eight-day programs in the Adiyogi Alayam, but of totally different natures. From vibrant saris and maharaja attire to bare whites. From dancing through the night to people working through their animal nature. And of course, the food. No one forgets the food at Samyama. At Mahabharat, we had a variety of flavors and foods, 15-course meals, but here in Samyama, only three courses – kanji, kanji and kanji. But these 1,370 diehards are moving fabulously from the chaos of the body to absolute stillness within. And this is the first Samyama in the Adiyogi Alayam after so many years of having the program in Spanda Hall. About the same number of people in a space that is 2 ½ times the size. And in terms of experience, what participants are going through, the difference is palpable. The word ‘spanda’ literally means ‘primal’ or ‘primordial’. Essentially, Spanda Hall was made for Bhava Spandana and Samyama programs - more for Bhava Spandana than Samyama. It is like a melting pot, things happen very easily. Bhava Spandana programs happen especially easily in Spanda Hall because of the nature of that consecration. If Bhava Spandana teachers teach somewhere else, they can clearly see the difference. It melts things down very easily, and it is built in a certain alignment with the Dhyanalinga and the Bhairavi Temple, which have a certain kind of impact. The Adiyogi Alayam is of a different nature. What it does and the way it is calibrated are manifold. It is more functional because it is essentially structured for the science of yoga, so it includes everything. The science of yoga essentially means this: even a little baby, if you pinch him, he will cry because he can feel his body. But he may not be able to feel his thoughts and emotions to start with; he can just feel his body. So the body is the first thing that he feels. The journey of yoga is to take you from the body, to different dimensions of who you are, to the ultimate core. In that sense, He is hugely equipped. We have not consecrated any other space like this; it explores the yogic dimension in a certain way. If you sit in the Adiyogi Alayam and start observing the nature of your body, you will see - He will take you on and take you faster and further than you imagined possible. If we do Hata Yoga or any kind of meditative process here, anything with eyes closed which involves a certain exploration, it will happen phenomenally well. It may not be the best place to do Bhava Spandana because it brings too much balance - we want a little madness out there. If people are not a little crazy, Bhava Spandana will not succeed. Yes, we want them to fly-off a little bit before they come down. Not that Bhava Spanda cannot be done here too; it would also be assisted because there is a yogic dimension to it. But the Adiyogi Alayam is more exploratory in nature, more driving towards the inner core rather than exuberance. In fact, if you walk into Spanda Hall, it may feel more exuberant. But if you sit in the Adiyogi Alayam, this will slowly sink into you. It is like this: if you go into Dhyanalinga, if you are not prepared enough, you may look around and just see one rock standing there. You don’t know anything. 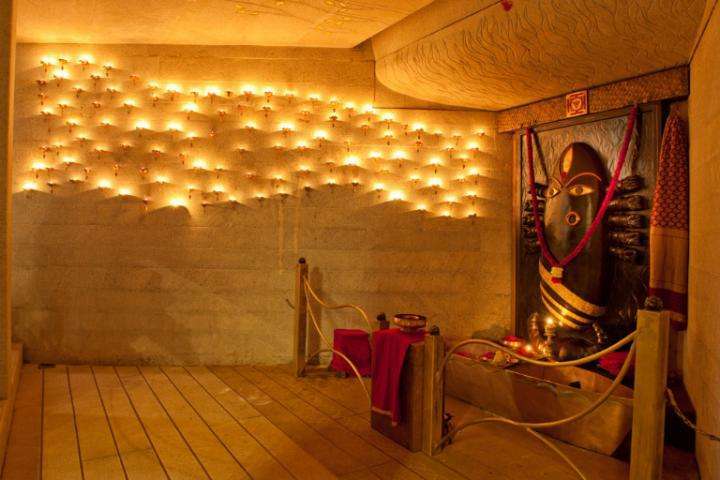 But if you go into the Bhairavi Temple, you feel it because it is exuberant. The Adiyogi Alayam is simply still. It takes a lot more to feel the stillness than to feel the exuberance. Exuberance is easy because it is happening; stillness you have to look for, otherwise you will miss it. So…the Adiyogi Alayam is explorative in nature. If you take one step and explore, He will take you one step further. That is like, if you earn 100 rupees, he will give you 100 rupees bonus. Good deal, isn’t it? This is really a great thing to experience. But in my first Samyama as told by Sadhguru, I tasted only Kanji, excpet for some short duration. My body took over the control and dissolving myself into the space was a mere dream. I hope I am bit advanced now and can immense myself in the next Samyama. It was a great experience being there at Adi yogi alayam, Words are short to experience samyama at Adi yogi alayam, being there one amoung the 1370. Tears rolled down when last day came, still didn't came out the vibration. I feel i am already having a great deal. This would be an even more great. Samyama in the presence of Adhiyogi and yourself is a boon, but why this is limited to first timers only.. It was amazing . 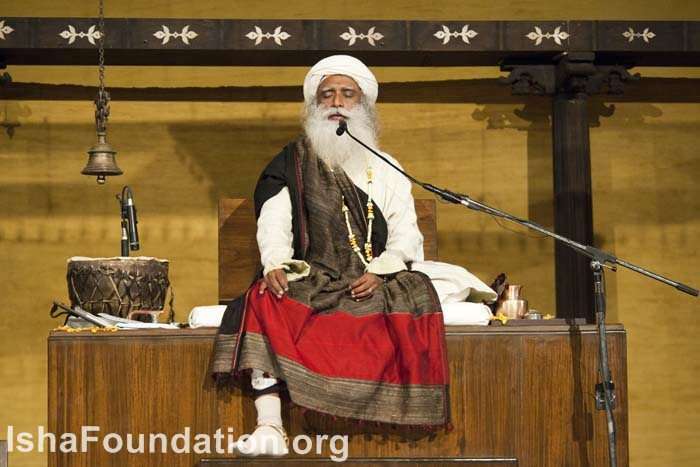 . .
We need 1000 Sadhgurus in the Planet. Appaa...definitely you'll be there with our Mystic ppa! I could see u in those participants,through my mind eye dear! Shiv Shambo , the day when it was started i was thinking of every moment, its a great experience to remember. Thank you so much Sadhguru... Luckily i was one among the 1370 :) 8 days with sadhguru, adhi yogi and the samyama practice was truly incredible... mixed emotion throughout.... crazy &amp; still.... of course the last day darshan ended in tears of joy, shambo!!! once again thank you so much sadhguru for giving us so many tools. 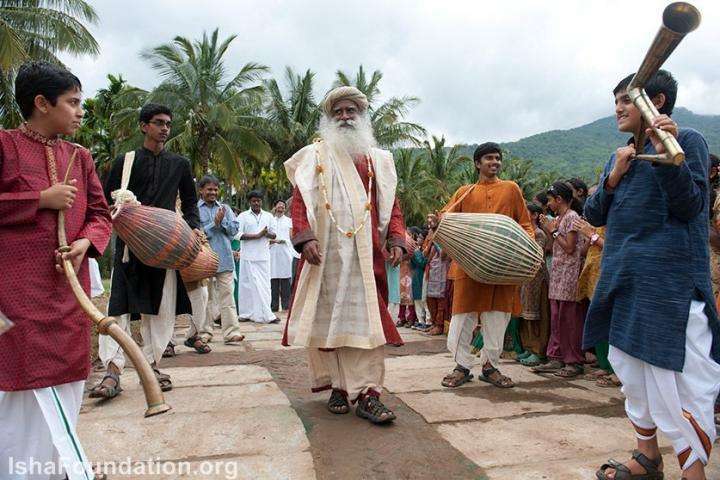 pranams sadhguru... wonderful information for meditators. when i attend this powerful class.in my first class anandha alahi in salem.very powerful changes in my soul.then BSP.totally powerful.this one of the oppurtunity.means life is imporatant of each and every persion life is super.............!.whenever isha class attented means they are pure soul.this my experience. Thanks A Lot for your Sincere Request ppa! I'll fulfill your request my dear! Only 3 things I want to say...Great !, Great ! and Great ! I am Poongothai from Karaikudi. You told that Samyama is neither difficult nor easy. But in my experience , I can say that it was like a heaven. During samyama , there was no homesick , I enjoyed with Adiyogi.Different energy transformations happened within me.I can able to see myself there only. Now I am suffering by Sadhguru sick only. When will you cure? To me samyama is a touching experience of another dimension of the life...every moment you push me up and this no(n) sense being only knows all the possible things to come down....I am not able to hold your grace even for a few moments....Oh ...Shamboo...when is my final moment to touch you and hold you at your feet!!! Waiting for Samyama.. when is the next program?